Have this beautiful Woodland Owl in your collection for this Christmas. 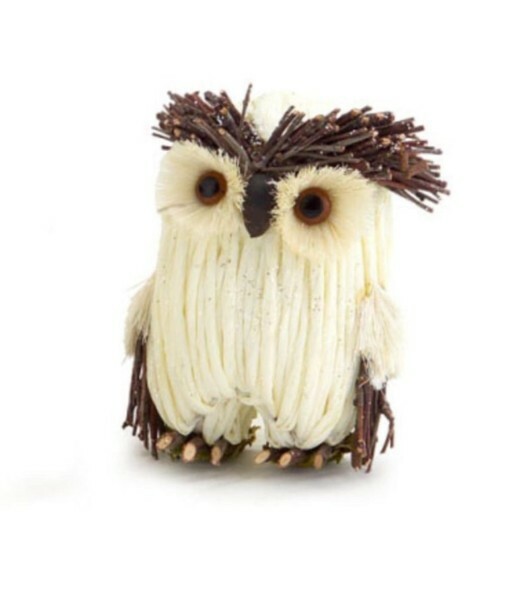 This Enchanted Forest Collection Cream colored woven owl ornament is accented with pine twigs and green moss Sprinkled with sparkling glitter. It’s a fully dimensional ornament which comes ready-to-hang on a twine cord Dimensions. Buy now!